We’re dedicated to building beautiful products that create better places for people to work and enjoy. We’re committed to delivering them with remarkable quality, speed, and ease. Trendway has been in the business of creating beautiful spaces and quality products for 50 years. When you call Trendway, expect to hear a friendly person on the line, not a machine. We take pride in providing personal service and delivering on our promises. Our workforce is passionate about performance. Employees are 25% owners in the company, and act like it. We're equally committed to serving our community and responding to people in need. Working to make our business more sustainable, and to make life better for our employees, neighbors and global community. Beautiful solutions, on time – every time. We're so confident in our record of on-time complete performance, we promise your order will be on time or on us. Any part of the order not ready to ship on the day promised will be free. We pride ourselves on performance. Our 99.95% on-time complete shipment record speaks for itself. Having all our operations in one location helps us deliver. Our standard product lead times are some of the fastest in the industry. 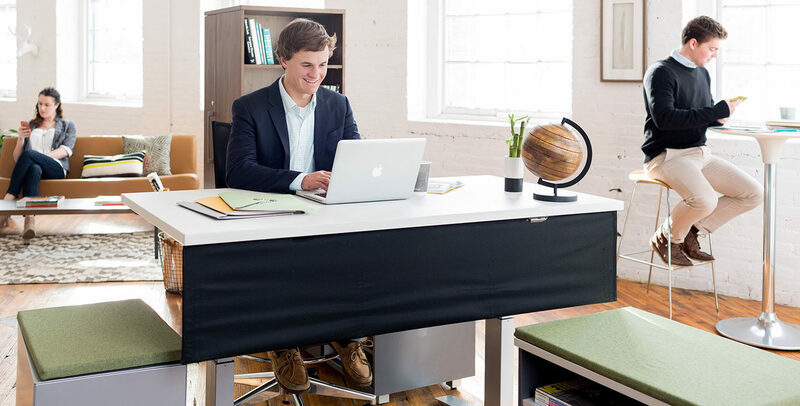 With services such as an excellent customer care team and a variety of products that ship fully assembled, Trendway is dedicated to creating ease throughout the entire process. From design to specification to installation, our team is here to help. We have a team of designers to support space planning and specification, and seasoned field support technicians to make sure your experience is exceptional. Our dedicated Trendway employee-owners embrace a culture that is committed to organizational excellence and continuous quality improvements. We ensure customers have an exceptional experience by effectively measuring and improving our products and services. Join a dedicated team of employee-owners that is passionate about keeping promises. We're working to make things better for our customers, community, our team and our world.